I remember the days when I would go to a “special” service at a church. Special meaning that what was planned was something out of the norm. In many cases this was a concert of sorts where singers and bands would share their original worship. Towards the end of every event there was the rush to the back of the church where tables would be lined up with, in those times, cassette tapes or presently CD’s. It was great! You heard something you liked and you got your hands on it right then and there. I am not too sure how effective it was because when I was in a band, doing that exact same thing, not many CD’s were sold. Now a days we have microwave christians. CD’s are not as instantly gratifying as they used to be. One Simple solution to this… QR, Quick Response, Codes! QR Codes have been around for quite sometime now but the simple technology behind the QR Code has not been used to its full potential. It is a great tool for the modern worshiper looking to reach a more tech savvy generation of worshipers. Rather than handing a CD which they may play in the car or go home and then upload the songs to their “playlist” on their smart phones, you can have your songs in their hand-held device instantly. I have introduced QR codes to a good musician friend of mine and his jazz music. He has been using QR codes to the max. His music sales and promotions all connected to QR codes. So where ever he plays people can download his music as he is playing and follow him on various social networks. 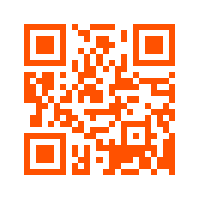 If you have never experimented with QR codes I would suggest you download a QR reader or scanner for you smart phone. There are dozens of free QR readers that also give you the ability to generate a QR code. Once you have downloaded the QR reader go ahead and scan the QR code shown below. This QR code will direct you to the “Sounds from the Basement” jazz album. As you can see you can customize the color so it can blend with your promotional materials. This does not mean that you should stop producing CD’s, not yet anyway. There is still a large community of worshipers that will buy CD’s. I would love to hear about your experience with QR codes if in fact you are using them to enhance your sales or promotions. Reply to this post. Well that is it for now, God Bless you and keep Moving Forward.